Property 3: 'Honey Bear Lodge' Gatlinburg Resort Cabin w/Spa! Property 7: Downtown Perch, Location, Location, Location!!!!! Property 9: A Black Bear's Trail/ Game Room /Perfect Location to Dowtown!! Property 11: $108 A-NITE MAY ONLY-PRICE SLASHED-HUGE HOTTUB! 2 COVERED DECKS! STUNNING VIEWS! Property 12: Great For Couples.. Great Location. Close To Downtonwn Gatlinburg. Property 15: HONEYMOON HIDEAWAY - ROMANTIC ANTIQUE LOG CABIN CLOSE TO EVERYTHING!!! Property 16: Gatlinburg, Private , Hot Tub, Fireplace, Pool Table, Close to Attractions! Property 19: Cozy Log Home 3 Minutes From Downtown! Property 22: Brand New Cabin Within Walking Distance To Downtown Gatlinburg. Property 23: Knotty Pine - Book now for summer!! Property 26: Great Mountain View_Luxurious King Suites! Property 27: $108 A NITE-MAY ONLY-PRICE SLASHED-HUGE HOT TUB! 2 COVERED DECKS-STUNNING VIEWS! 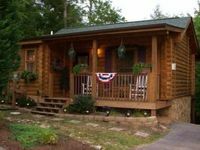 Property 28: 'Two Hearts' Gatlinburg Cabin w/ Great Amenities! Great season rates - stay in an authentic log home with free Netflix ! Property 35: Great season rates - stay in an authentic log home with free Netflix ! Property 37: There is nothing better than getting away to a romantic cabin in Gatlinburg with fanastic views. Property 39: Treehouse at The Glades - luxury & privacy! MOUNTAIN LAKE GETAWAY - GREAT LOCATION! Property 44: MOUNTAIN LAKE GETAWAY - GREAT LOCATION! Property 45: Visit the Smokies this Spring! - Follow Me to Tennessee! Inquire now! The Dancing Bear. Pools Open Memorial Day! Property 46: The Dancing Bear. Pools Open Memorial Day! 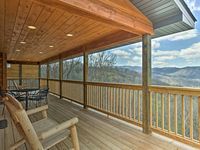 Property 48: Gatlinburg Cabin w/Deck, Hot Tub & Mountain Views!